Nicholas heard the news of the unrest in Petrograd at his military headquarters in the town of Mogilev. On its way back to Petrograd, the imperial train was stranded by railway strikes at Pskov, the headquarters of the Northern Front. There he found he no longer had the support of his army commanders who recommended to Nicholas that he abdicate. The Tsar bowed to the inevitable and on 2 March abdicated for himself and his only son, Alexei, in favor of his brother, Michael. But Michael refused to take the throne, and the monarchy disappeared. Thus ended the rule of the Romanovs in Russia. In five days the autocracy, without putting the slightest resistance, collapsed like a house of cards. The collapse of the three-century-old Romanov dynasty in Russia was an important turning point not only in Russian but in world history. It is comparable to the downfall of the French monarchy at the end of the eighteenth century. The war and revolution caught the tsarist empire in the middle of a process of transformation (industrial, agrarian, educational and military), at a point when most of the reforms undertaken during the constitutional period were beginning to produce their first results. However, the Tsarist Empire’s political evolution could not keep pace with its rapid socio-economic progress. The failure to adapt Russia’s antiquated government structure to the fast-changing social and economic conditions was among the principal reasons for the downfall of tsarism. The brutal and devastating war brought into stark relief the inefficiency, inadequacy and rottenness of the autocratic regime which became completely ‘detached’ from its people. The alienation of Russian society from the tsarist government was at the root of the crisis which crippled Imperial Russia. The educated public, denied the possibility of participation in the affairs of state, was politically disaffected, with some groups wishing even for the military defeat of their own government. The rural masses (which still comprised some 80 percent of the population) were estranged by the regime’s age-long neglect of the peasant problem. The masses of soldiery half buried in muddy trenches stretching for over two thousand miles from the Baltic to the Black seas, were demoralized by the endless, hopeless battles in which they did not see any real meaning. 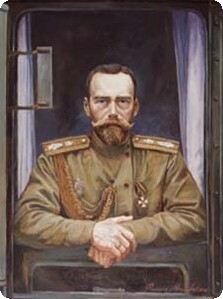 The incapacity of the Tsar and the tsarist regime in the face of the military and political crisis eroded even the loyalty of the Tsar’s traditional supporters: it was not the demonstrators in Petrograd, but the army high command and the aristocratic members of the Duma who advised him to abdicate.